Since we founded Hello Hong Kong in October 2013 we always thrived for excellence. To deliver enjoyable and interesting walking tours of Hong Kong. We gathered a team of brilliant tour guides that share the same passion for Hong Kong. When we started out we did not expect to be on such a fun ride with each and every one of our guests! 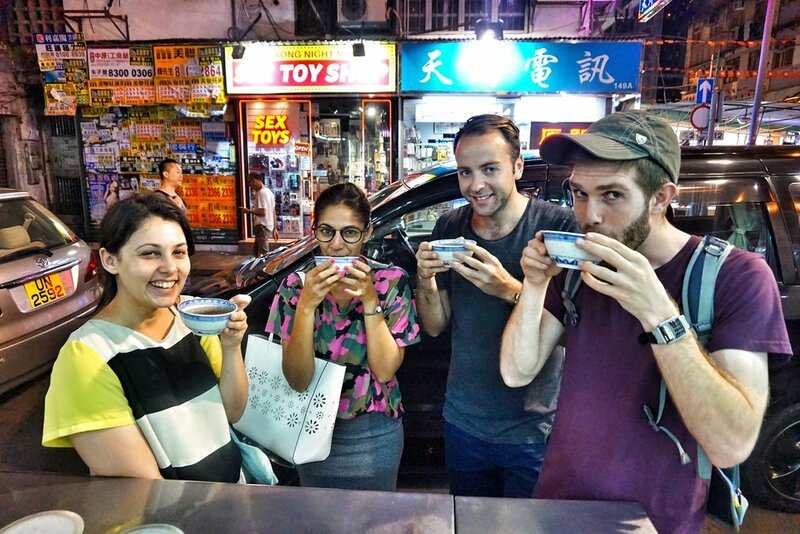 We took them on Hong Kong private tours, on Kowloon walking tours after dark, showed them around Lantau Island and introduced them to what to eat in Hong Kong. join your privater tour guide in Hong Kong for a health boosting cup of herbal tea at the end of your night tour. All our hard work started paying off when we saw the results in forms of reviews from our guests. We were overwhelmed by the fantastic reviews on TripAdvisor! We were so happy to receive the "Certificate of Excellence" on the world's biggest travel page! We did not expect to receive this award for four years in a row! So proud to have made it 3 years in a row! So next time you are planning to a sightseeing in Hong Kong, book your tour with us and let us be part of creating great memories of your Hong Kong local tour. Book your tour here! Night Tour Hong Kong | World Cup 2018 Is Here!